Saint Metropolitan Varlaam of Moldova served in the highest ecclesiastical position of the Principate of Moldova in the period between 1632-1653 and is recognized, because of his written works, as one of the founders of the modern Romanian language. He was born in 1590 as Vasile Moţoc, in family of free men from the Village Borceşti, near Târgu Neamţ. In his time there was still practiced the serfdom in some regions in Moldova, so that being a free man it was already a special status. Still young, Vasile was familiar with the monastic life, because he used to spend a lot of time in the Hermitage Zosim, a small residence of the monks in Secu valley. Here he could learn old Slavonic and Greek, the languages used in the Church and in the official documents during his time. Not far away from here, in the same time the Vornic (internal and justice minister) Nestor Ureche and his wife Mitrofana have founded a monastery named Secu in 1602, and also a school in its dependencies. 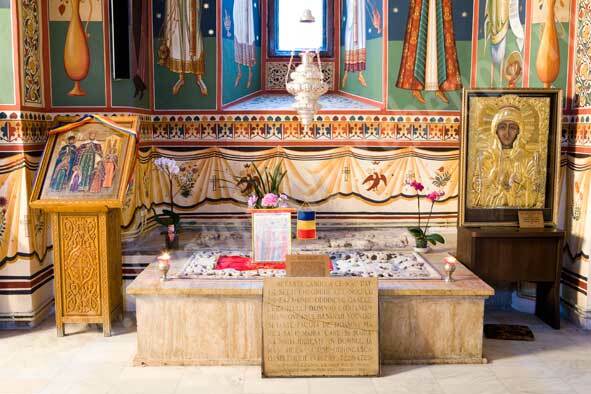 Here Vasile received the tonsure as monk, being named Varlaam and even still young he was elected as egumen (abbot) of the monastery, because of his high knowledge. At Secu, Varaam translated Leastviţa (The Ladder of St. John Climacus), this being one the first writings of the Churchfathers available in Romanian. Shortly, the Metropolitan Anastasie Crimca (1608-1629) appointed him in the rank of archimandrite and since 1628 he became an important counselor of Voivod Miron Barnovschi (1626 - 1629 and 1633). From this position he was sent to Kiev and Moscow to purchase some icons from the monasteries Dragomirna and Bârnova and for Barnovschi church, built by the Voivod in Iaşi, the capital of Moldova. On his way back home in 1629, Varlaam heard about the death of Metropolitan Anastasie and the removal of Miron Barnovschi, so he retired at Secu. 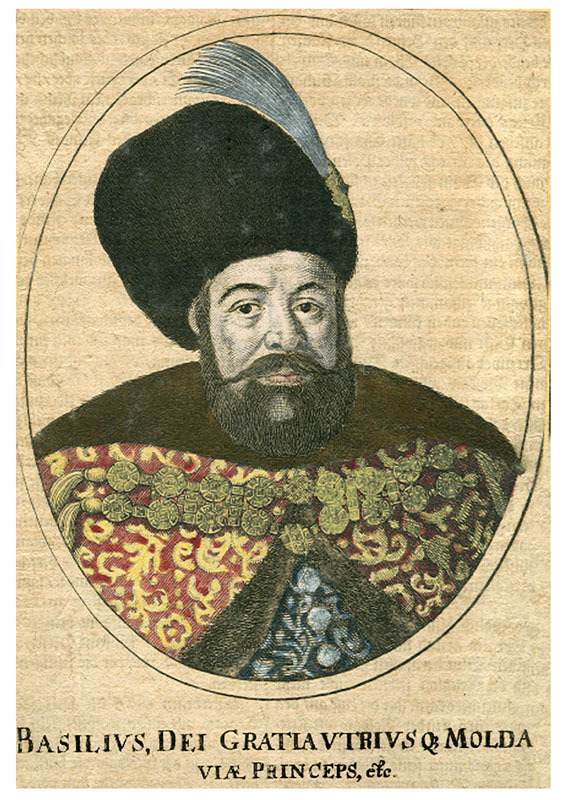 The short retirement ended in 1632, when during the second reign of Alexandru Iliaş (1620 - 1621 and 1631 - 1633), he was elected to follow the position of the recently dead Metropolitan Athanasie (1629-1632). Metropolitan Varlaam understood his pastoration as a big responsibility as teacher, ruler and mediator in prayers for his community, and he had the chance to have together a very pious ruler in the person of Voivod Vasile Lupu (1634 - 1653), who helped him in the action of modernization of the educational system in the country. During his pastoration years it happened a very important event for the Orthodox Church, namely the Synod form Iaşi (1642), this being the first council of the entire Orthodox Church after the Schism. At this Synod it was debated and approved the Confession of Faith written by Petru Movilă, Metropolitan of Kiev in 1638. This work was at its time (and even today) very important, being built as the first Orthodox Catechism since the Age of St. John Damascene (7th century), and useful as a handbook for the Orthodox clergy and laymen confronted with the action of Calvinization and Uniatism. Probably after this Synod, Metropolitan Varlaam became very popular even abroad, that he was the only Romanian hierarch among the candidates for the seat of the Ecumenical Patriarch of Constantinople. This happened in 1639, but the elected one was Parthenios I, the former Metropolitan of Adrianopolis. Another important event happened in this period was the moving of the relics of St. Parascheva at Iaşi, in 1641. 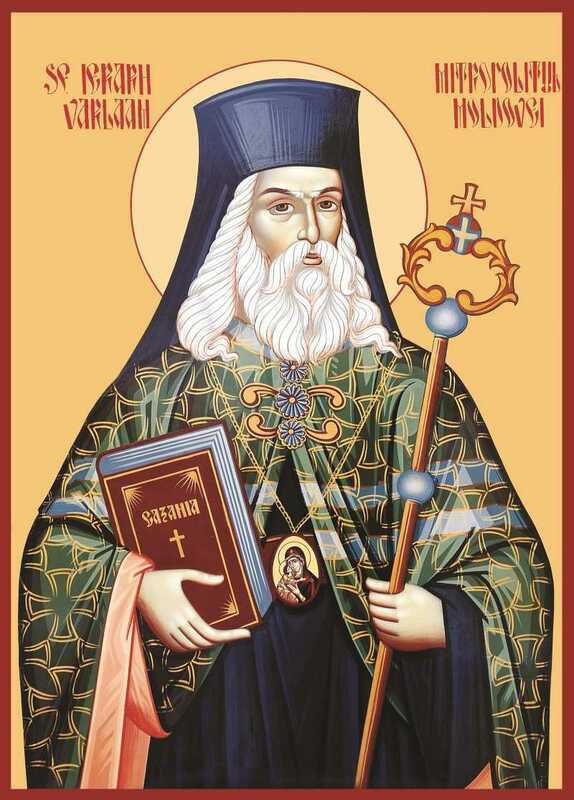 The Voivod Vasile Lupu helped then the Ecumenical Patriarchate of Constantinople with a big amount of money, and in gratitude for the help offered, the Patriarch Parthenios offered for the Metropolis the relics of the Saint, who became very popular in Moldova until today. 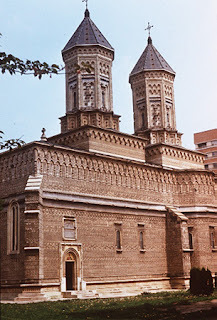 At that time, the relics stayed in the new monastery of the Three Hierarchs, until their moving in the new Metropolitan Cathedral, in 1889, where they can be found until today. Metropolitan Varlaam together with the Voivod Vasile Lupu founded in Iaşi in 1639 a new monastery dedicated to the three Hierarchs, Basil the Great, Gregory form Nazianzen and John Chrysostomus. The church of the monastery is a masterpiece of art and architecture of the 17th century, and one of the halls of the monastery, known today as “The Gothic Sall” was the place where the Synod reunited in 1642. 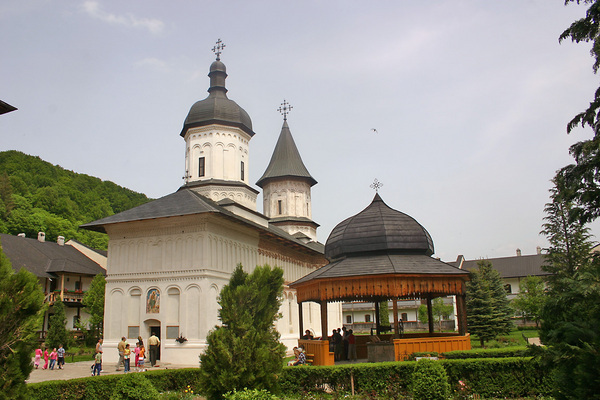 Even from its foundation in 1639, the monastery hosted the first printing machine in Moldova. Here there were printed several liturgical but also apologetical books, namely Cazania, The seven Sacraments, Answer against the Calvinist Catechism and a book of religious and secular law, called Pravila. Cazania or Romanian Book for teaching in the Sundays all over the year, at the imperial feasts and the great saints’ days (Cazania sau Carte românească de învăţătură la duminicile de peste an, la praznice împărăteşti şi la sfinţi mari, 1643) is the first book printed in Romanian language in Moldova. Its importance consists in the fact that it was spread in all the Romanian provinces, especially in Transylvania, where the action of calvinization was very strong, imposed by the Hungarian rulers who adopted the Reform. Another importance given by this book is the language used, which presents a step forward to the modern Romanian, after the translations realized in Transylvania by deacon Coresi, in the middle of the 16th century. In the double preface of the book, the first written by Voivod Vasile and the second by Varlaam, there are some mentions of the national and linguistic unity between the Romanians in Moldova, Wallachia and Transylvania. This might be one of the first signs of the national conscience among the Romanians. In 1644 Varlaam publishes Seven Mysteries of the Church (Şapte Taine a Bisericii), another important catechetical book, written in the form of questions and answers. This systematization of the Orthodox teaching is one of the first statements about the seven Sacraments, but still not entirely original, being a compilation based of the work of Toma Teofan Eleavulkos (written in the same century). 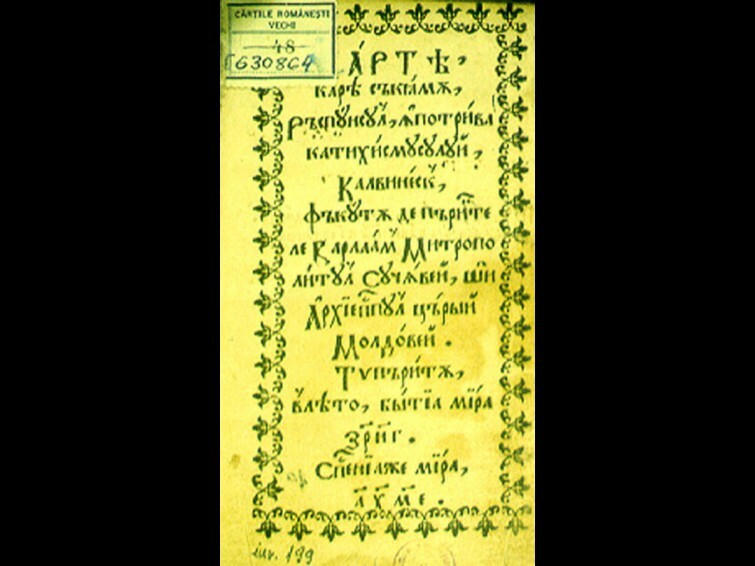 Another important printed book for the period is a praying book, namely the Paraclis of the Theotokos (Paraclisul Maicii Domnului) a hymn similar to the western Rosarium, in 1645. 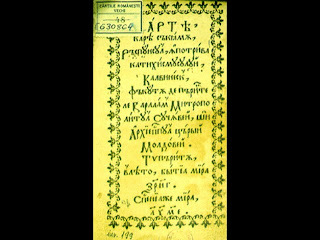 The Answer against the Calvinist Catechism (Răspunsul la catehismul Calvinesc, 1645) was probably printed in a double edition, at Iaşi in Moldova and at Dealu Monastery In Wallachia, as a joint action of Varlaam and Teofil of Wallachia (1636-1648) against the Calvinist missions. The Calvins printed a Catechism in Romanian at Alba Iulia in 1642, this being seen as an action to attract adepts among the Romanians especially from Transylvania but also from Moldova and Wallachia. Because of this possible danger, Varlaam convoked a synod of the hierarchs in Moldova and Wallachia about in 1644-1645, who approved the text of his work. The importance of the Answer of Varlaam consists in its originality and also in the quality of the language. Varlaam composed this work as a pamphlet against the teaching of Calvin, and even if full of resentments, the author tries to write into a civilized language. This book is the first apologetic Romanian work. Metropolitan Varlaam together with the Voivod Vasile Lupu founded in the Monastery of the Three Hierarchs also first high school in Moldova (1640) after the model of the Kievean Spiritual Academy, founded by St. Petru Movilă. The students learned here theology, Greek, Slavonic but also Romanian, together with some other matters such as, philosophy, rhetoric, poetics, dialectics, arithmetic, geometry, astronomy, grammar and music. The first teachers of the school were sent here by the Metropolitan of Kiev Peter Movilă, who has shown for many times the affection of his homeland. Anyway, after the abdication of Vasile Lupu, the school decays. Voivod Vasile Lupu lost his throne in 1653, and shortly after, the Moldavian chronicler Miron Costin attests that Metropolitan Varlaam decided to retire to his monastery, at Secu, where he lived the last four years of his life as a simple monk in humility and prayer. The decision may be influenced also by the fact that Varlaam suffered since 1653 of a paralysis of the hands. He died on December 19, 1657 and, according his Testament, he gave all he had to the monastery at Secu. He was buried in the exterior side of the church's south wall. 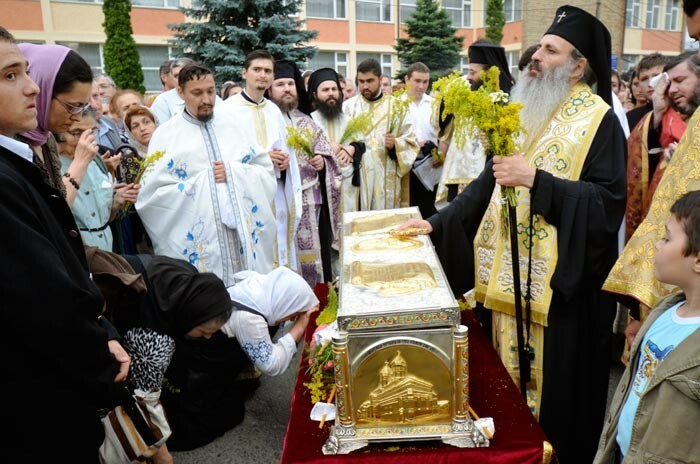 The canonization of Metropolitan Varlaam as a saint happened after a decision of the Holy Synod of the Romanian Orthodox Church from February 12, 2007. The canonization ceremony happened at Secu Monastery on August 29, when his relics were exhumed and put in a silver coffin in the church of the monastery. 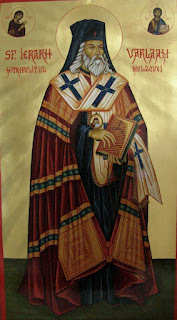 His memorial day is August 30, in the same day of the celebration of the Saints Alexander, John and Paul the New, Patriarchs of Constantinople. 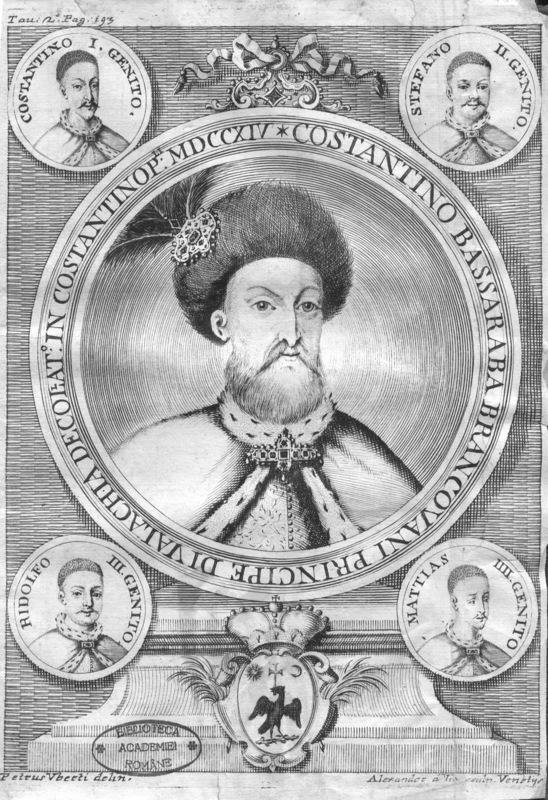 Constantin was born in 1654, in Brâncoveni (Olt County), from a noble Romanian family, as the son of Matthew Brâncoveanu and Stanca, the sister of the Voivod Şerban Cantacuzino (1678-1688). 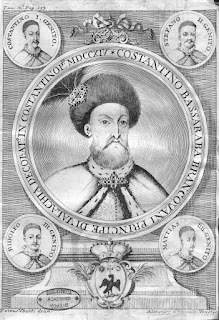 His father died in 1655 and Constantine was raised by his uncle, Constantine Cantacuzino who was postelnic (chief of the Voivodal Office) at the Court in Bucharest, being one of the most representative humanists in the medieval Romanian culture. In this way the future Voivod of Wallachia received the best education of hi stime. He was fluent in Greek, Latin and Slavonic, and probably also in Turkish. 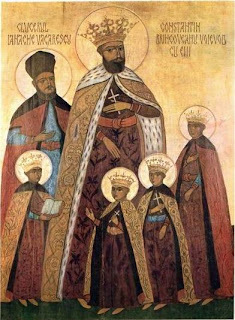 Constantin married Maria (popularly named Marica), the granddaughter of Voivod Antonie (1669-1672), and had together four sons: Constantin, Ștefan, Radu and Matei and seven daughters: Stanca, Maria, Ilinca, Safta, Anca, Bălașa and Smaranda. Together they reached an impressive wealth consisting in houses, lands, whole villages and sums of money deposited different banks in Western Europe. Being 34 years old, Constantin was elected as Voivod of Wallachia, after the suddenly and mysterious death of his uncle. The political situation was very difficult for the small Romanian principalities who tried to keep further their identity, during the growth of the Russian power, who came into conflict with the Ottoman Empire and the Austrian Monarchy - already present in Transylvania since 1699. Using a clever policy, Constantin reigned 26 years. Inside Wallachia, Constantin Brâncoveanu supported the economic and cultural progress, trying to modernize the state apparatus, reforming the tax system and increasing the Voivodal power, but the excessive taxation ruined the low class. This was not directly due his wish to be even richer, but because of the ever increasing demands of the Ottoman Porte, to whom Wallachia used to pay a tribute even since the beginning of the 15th century. 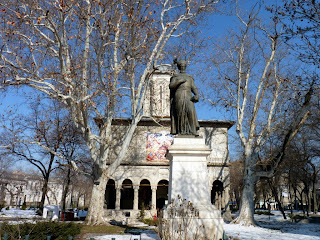 Constantin Brâncoveanu supported the development of the Romanian culture, so that his reign may be called “the Romanian Renaissance”. His „fingerprint” is considered to be the church and the buildings complex of the Monastery Horezu (or “Hurezi”), dedicated to Saints Constantine and Helen, in 1690. As a very pious Voivod, he built also a lot of other churches or monasteries, but also secular institutions after a totally new architectural style that combined the mural painting and sculpture local tradition with the neo-Byzantine style and Italian Renaissance. 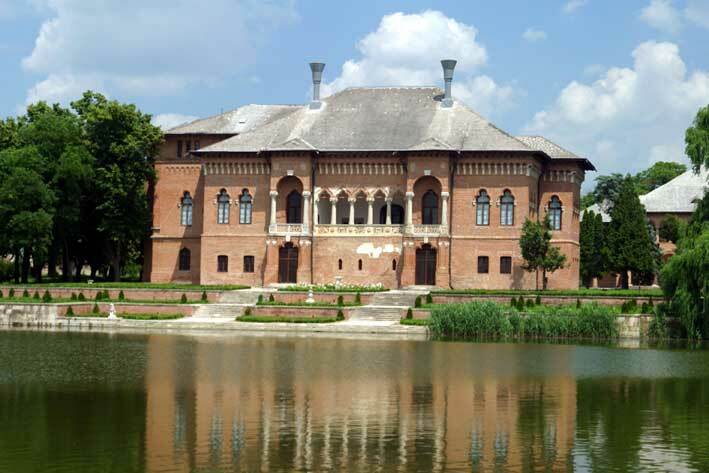 This combination was called the „Brâncovenesc” style, which could be considered as the first typically Romanian current for architecture and painting. 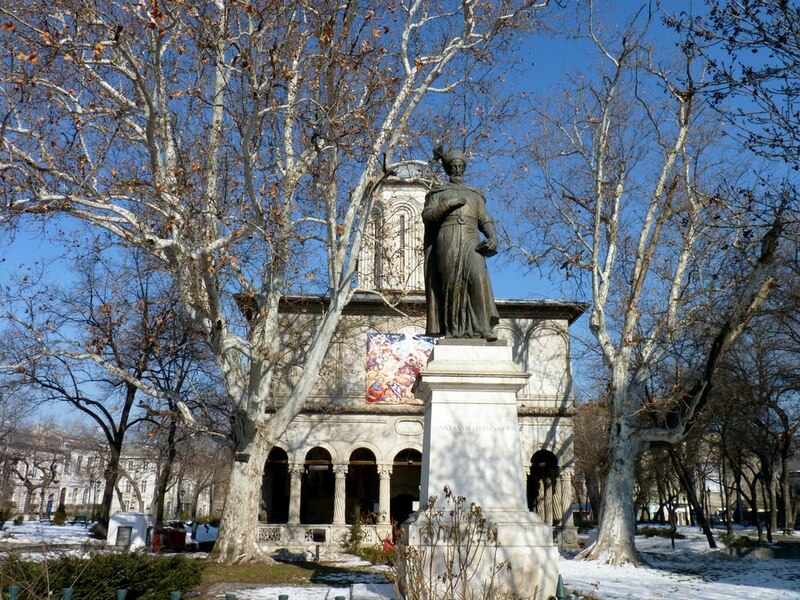 Constantin Brâncoveanu supported also the printing activity and the schools in Wallachia, but also in Transylvania, and tried to give a more important role to the Romanian language, until then only used as a vernacular language. He surrounded himself with great personalities of culture from the country and abroad, brought especially in order to prepare the young generation after the European model. 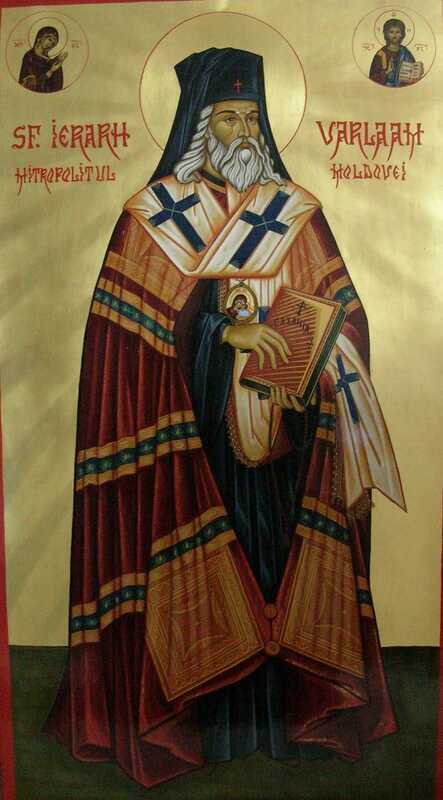 In 1689 he brought from Istanbul a Georgian scholar and monk called Antim, later Metropolitan of Wallachia and also a saint martyred by the Turks (1716). Under his guidance, there were printed many books, especially religious, in Romanian, Greek, Slavic, and even Arabic, Turkish and Georgian, so that Wallachia became a cultural Centre for the whole Christian culture in the Eastern Europe and in the Ottoman Empire. In 1694 the Voivod Constantin founded the Princial Academy in Bucharest, also known as the College from St. Sava, the first high school in Wallachia. The teaching language was still ancient Greek, and the teachers were usually Greeks from Istanbul. Parallel, he opened some other schools, within the monasteries in Bucharest, having as teaching language Slavonic and Romanian. He also founded some libraries such as the one in Mărgineni and Horezu monastery, purchasing many books from Western Europe. 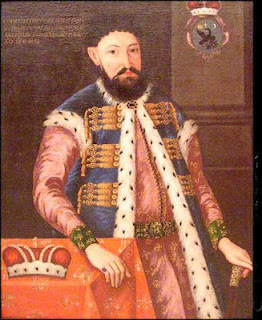 In foreign policy, Constantin Brâncoveanu tried to maintain the balance between the Ottoman Empire, to whom he paid so much every year, and Austria, with whom he concluded a secret agreement, receiving in exchange for certain services some noble estates and titles of the Holy Roman Empire. The fragile equilibrium broke in 1709, when the third political power came in the game. King Charles XII of Sweden lost the battle with Peter the Great at Poltava. Shortly after, the powerful Russian troops entered in Moldova, in order to fight with the Sultan. In that moment, Brâncoveanu made the mistake to ally with the Russians, considering that this might be the future. So, he wrote a letter to Peter the Great, in which he promised to help him with military supplies. Peter sent to Brâncoveanu his thanks and 300 bags of gold. In the meanwhile, the Turks installed Dimitrie Cantemir, as prince in the other Romanian Principality, Moldova. He was also known as one of the highest qualified intellectuals if the whole Europe, but he happened to be an enemy of the Brâncoveanu family. The first thing Cantemir did was to ally also with the Tsar. Being a proud leader, in this situation, Brâncoveanu tried to play on both sides and helost. In waiting a confrontation between the Russian and the Ottoman troops, he gathered his army at Urlaţi, near the border with Moldova and, in case that the Russians wanted to enter in Wallachia, he planned to ally with them, but if the Turks would have been faster, he intended to remain on the Turkish side. During this time his cousin, Toma Cantacuzino fled with a part of the army to the Tsar, telling him the plans of the Voivod. Scared about the situation, Brâncoveanu sent back to Peter the Great his 300 bags of gold and supplied the Turks. The battle between the two great powers happened in Moldova, near the Prut River, at Stănileşti, in 1711, and the Russians have lost. Even since 1711, the sultan Ahmed III (1703-1730) planned to put someone else on the throne of Wallachia, because of the lack of loyalty of Brâncoveanu and because he tried to fortify his position against the Austrian Monarchy. But even if he usually did this without any problems before, Constantin was too powerful, had too many connections among the Western powers, so that the „revenge” was planned in a few years. In 1714 Constantin was planning the marriage of his son Radu with the daughter of Antioh Cantemir, former Voivod of Moldova (1695 – 1700; 1705 – 1707). For she was in Istanbul, Brâncoveanu tried to improve his relations with the Sultan and sent him a letter and 4000 golden coins. Even if first the Sultan communicated to him that he has nothing against this marriage, he sent Ali Pasha to Bucharest to arrest Brâncoveanu. The Voivod didn’t know that all his relatives were already against him and no one tried at least to help him. That is why, on March 25, 1714, the Turks came in Bucharest and removed Constantine from the throne of Wallachia. The reason invoked was, according to Mehmed Rashid, a contemporary Turkish chronicler, that he gathered too much wealth and weapons and prepared a rebellion against the Porte, waiting the moment to reign absolutely independently. He was taken to Istanbul together with his family and imprisoned at the fortress of Yedikule („the Seven Towers”). Of course, all their possessions were confiscated, and he was tortured by the Turks, who hoped to locate his other possessions. His fabulous wealth became somehow legendary, and the Turks used to call him „Altin Bey” (the Prince of Gold). Finally, he was obliged under torture to sign for the gold deposited in Venice. The execution of Constantin and his family happened on 15 August 1714, at Ialy Kisc („the kiosk at the sea”), on the day of the Dormition of Our Lady, the very day when he turned 60 years and his wife celebrating her namesday. After the beheading of Ianache Văcărescu, the executioners took the four sons. Even if Matei, the youngest protested and asked his father to let him convert to Islam, because he didn’t live his life, Constantine was radical and forbade him such a thing. His son accepted his father’s decision and finally chose to die too. He was only 11 years old. Finally Voivod Constantine was also beheaded. The bodies of the martyrs were thrown into the waters of Bosphorus and their heads were worn in spears through the streets of Constantinople and hanged for 3 days at the gates of the Seray. Later they were also thrown into the waters o the sea. Some Christians have „fished” the bodies and buried them secretly in the Assumption Church from Halki island, during their heads were brought in Wallachia by Lady Mary in 1720 and secretly buried in the new church of St. Gheorghe from Bucharest. The tomb was covered by a white marble plate, without any name or identification. 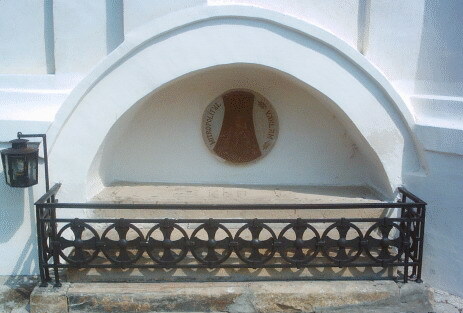 The discovery of the fact that the head of the Voivod is buried here, happened only in 1914, because of an inscription on a silver lamp until then remained unobserved: „This lamp, which was given to [the church of] St. George the New, lights where are resting the bones of the blessed Lord Voivode Io Constantin Brâncoveanu Basarab and was made by her Excellency Mrs. Maria, who hopes for the resting of her bones also here. July, 12 days, year 7228 (= 1720)” Her wish was fulfilled in 1745, when she died and was buried there. 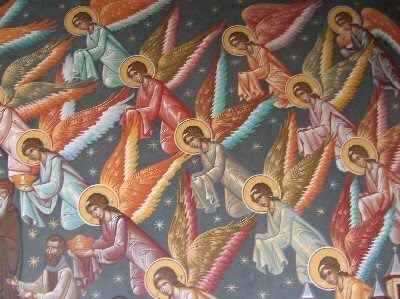 On June 20, 1992 the Synod of the Romanian Orthodox Church canonized the martyrs Brâncoveanu, setting their memorial not on August 15,because of the great Feast of Our Lady, but the second day, on August 16 memorial day. 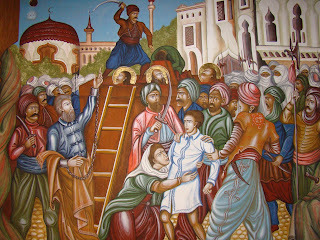 Being worthy to suffer a martyrical death for the right faith and for your people together with his sons Constantin, Ştefan, Radu, Matei and with the counselor Ianache, Oh, right-faithful Voievod Constantin, pray to Christ God to save our souls! În tradiţia ortodoxă, se obişnuieşte ca orice lucrare să se înceapă numai după ce ne închinăm cu semnul Sfintei Cruci şi spunem: "Doamne, ajută!" Acest obicei străbun ţine cont de faptul că nimic din faptele noastre - chiar şi dintre cele vădit bune, de exemplu milostenia sau ajutorarea aproapelui - nu se face fără a avea în minte pe Cel Care face roditoare faptele, anume Bunul Dumnezeu. Alte dăţi, plecând de acasă, mama şi tata ne petrec la drum, urându-ne din inimă: "să-ţi ajute Dumnezeu şi Maica Domnului! ", iar spunând aceasta, ştiu ce spun. Nimeni nu cunoaşte mai bine decât părinţii cât de importantă este rugăciunea mijlocitoare a Maicii Domnului. Paraclisul Maicii Domnului este una dintre numeroasele slujbe de rugăciune către Fecioara Maria, care se cântă sau se citeşte mai ales în momente de necaz şi în nevoi. Tocmai de aici şi numele ei, care înseamnă "mângâiere". Într-unul din imne citim: "Nimeni din cei ce aleargă la tine nu iese ruşinat, Născătoare de Dumnezeu Fecioară; ci cerând dar bun, primeşte dăruirea către cererea cea de folos". "Toată firea îngerească, Iisuse, fără de încetare slăveşte preasfânt numele Tău în ceruri, strigând: Sfânt, Sfânt, Sfânt; iar noi păcătoşii pe pământ, cu buze de tină, cântăm: Aliluia!" Una dintre cererile pe care le rostim zilnic în rugăciunea "Tatăl nostru" este aceea ca să se facă cele de pe pământ asemenea celor din cer. Îndeplinirea acestui lucru nu este neapărat un deziderat viitor, până acum străin. De marele praznic al Schimbării la Faţă a Domnului sărbătorim momentul minunat în care Iisus Hristos, aflat pe muntele Taborului, S-a arătat Ucenicilor în slava Sa dumnezeiască "pe cât li se putea" acestora să vadă şi să înţeleagă. Pe de o parte se aflau marii profeţi ai Vechiului Testament - Moise, cel care a primit Legea, şi Ilie, "cel ce a fost înger în trup" şi a fost urcat din timpul vieţii la ceruri -, aceştia având sfat cu Domnul întru lumina cea de nedescris, iar pe de altă parte, culcaţi la pământ şi înspăimântaţi de vederea minunată, Apostolii Petru, Ioan şi Iacov, rămaşi fără cuvinte. Într-un final, în acea stare mai presus de înţeles, Petru propunea Domnului să facă acolo trei colibe. Poate că dorea să spună astfel că nu mai vrea să se mai coboare de pe munte, înapoi la cele obişnuite. Lumea cerească şi cea pământească se uniseră pentru o vreme, prevestind împlinirea Împărăţiei lui Dumnezeu între oameni.